Finding the perfect web design and development agency is no easy task. These key questions will limit any confusion and ensure your chosen agency fits your business needs. Web design and development is a critical step when promoting your business and the services you offer. Since the online world is rapidly expanding, having an appealing website with great designs is what every business owner needs. But venturing into your first website project can be overwhelming and often frustrating, especially if you haven’t done your due diligence. There are numerous web design and development agencies, and choosing who you work with will have long-lasting ramifications. In the crowded online world where everyone claims to offer the best service, you need to make sure you’re equipped to make the right decision for your business. Here are seven key questions to consider before signing up with a web design and development agency. For many small businesses, the main objectives of a website are to build trust, educate, inform, and convert visitors into leads. While there are hundreds of web design and development agencies that can accomplish this task, there are several variables to consider. How many pages/tabs will be included in your website? What type of content management system would be best for your business? Where will the site be hosted? Do you require customized services? These factors can have a significant impact on the website’s everyday management and down the road when, not if, the site is redesigned. If you have a clear idea of your business needs, selecting your web design and development agency will be seamless. Will the web design and development agency fit with your business? Moving a website from one provider to another can be costly and time-consuming. The best way to avoid this is to ensure you make the right choice the first time. Get to know who you are hiring for this long-term relationship. While the quality and efficacy of their work is surely a consideration, find out what they value, how they work, and how they treat their staff. You want this partnership to last, so be sure their business values align with yours. What support does your business require? It’s not uncommon to realise a feature or element was left unconsidered prior to your website launch. And more importantly a website is not static, and future changes are to be expected. Most web design and development agencies provide some level of on-going support, but it’s always a good idea to find out what level, turnaround time, and which members of the staff will be doing this type of work. Also, consider if there are any elements of the website you can do internally. Once you eliminate what can be done internally, you can ensure your web design and development agency has clear direction and that their skillsets are aligned with your needs. Knowing exactly what type of work you need—and what you don’t—is crucial to choosing the right agency. Will your agency provide an integrated experience? A good web design and development agency has the experience and understands the importance of how social media and search engines display information from websites. They work with your company to make sure these bases are covered so that you’ll always be putting your best face forward. Always ensure your website will be well represented across all platforms. It’s important to know what your budget range is ahead of time so you can focus your search on agencies that are a fit. Website design and development pricing run the gamut from free, to fixed, to hourly. Along with the initial design and development costs, there are also ongoing charges and fees that should be understood prior to signing the contract. It’s important to understand that you will make changes to your website. It’s better to understand and plan for those costs upfront, so there are no hidden surprises. Which companies has your agency done worked for in the past? You want to separate the “well my friend/cousin/person I met works at this agency” kind of referrals from qualified referrals. By qualified we mean, the person has direct working experience with the agency. This often results in connections with agencies you can trust. Don’t be afraid to ask your potential web design and development agency for references. Any agency that can’t provide references probably should be ruled out. 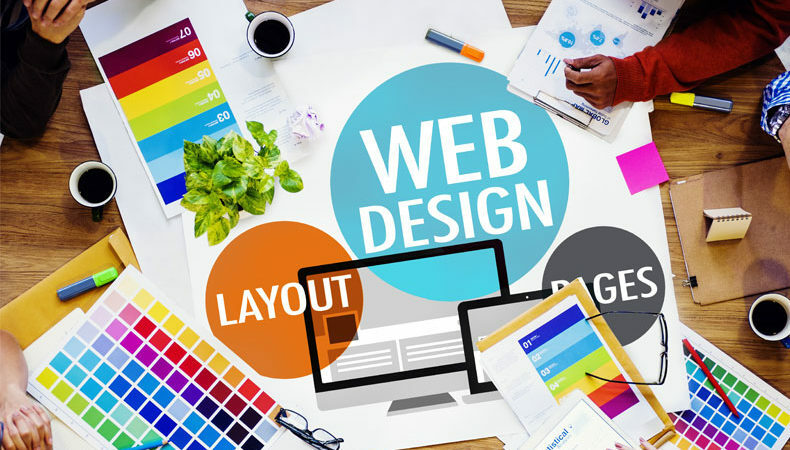 It may also be best to find websites you admire and find out who the web design and development agency was – this can often be found at the bottom of a website. A little legwork and a bit of research here can go a long way. Approach hiring an agency like you would hiring an employee. If you have a highly qualified referral, then you may only need to speak with one or two agencies. If you don’t have a highly qualified referral, it may be best to have early interviews with 3-6 agencies, and then narrowing it down to 2-3 whom you should meet multiple times and ask to submit bids. What are the sites you are most proud of in your portfolio, and why? Make sure you are aligned on what makes for a good website. Who is your favorite client to work with? Why? What makes for a really good working client relationship? Use this to get a sense of the sophistication and experience of your agency. Experienced agencies have a highly developed philosophy of how to build constructive long term client relationships. What are the top three ways projects can go off the rails? How do you de-risk each of these areas? Experienced agencies have thought hard about this and have insightful answers. What are you better at than your competition? Make sure this maps well to your needs. If we were to augment your services by hiring a second agency, which area of specialization should they cover? Another way to understand where the agency specializes in and make sure it maps to your needs. It’s also important to provide as much detail about your project as possible. This gives agencies a clear idea of what you require and limits any confusion in future. Doing a thorough job on your agency selection process will help out greatly when it comes time to kick off a project. You should finish with a good understanding of what your team is going to do, what key skills the agency is going to bring the table, and wisdom from the agency and their clients on how to best set up the project to succeed. Find out everything you need to know about web design, and what to consider for your new website.